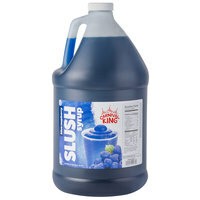 Make cool slushies or granitas with this Carnival King 5 gallon bag in box blue raspberry slushy syrup! Guests will start craving your colorful slushies as soon as they see them at your carnival cart or concession stand. 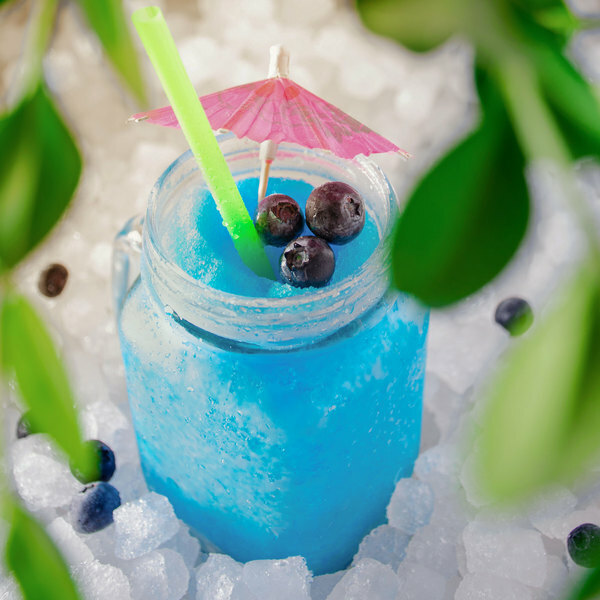 Keep up with the demand for these refreshing treats with this Carnival King 5 gallon blue raspberry syrup! This large 5 gallon bag in box is perfect for your high volume fairs, stadiums, or other special events. "A great bag for stores! Manufactured nicely and does not rip easily. A great bag for larger items and drinks. Perfect for convenient stores and quickies." Carnival King offers great flavors at a great value, and this sweet blue raspberry flavor enhances the appearance, color, and taste of your icy cold drinks. The colors and flavors are sure to boost impulse sales. Just a small amount of this syrup will help you make a large number of profitable drinks! 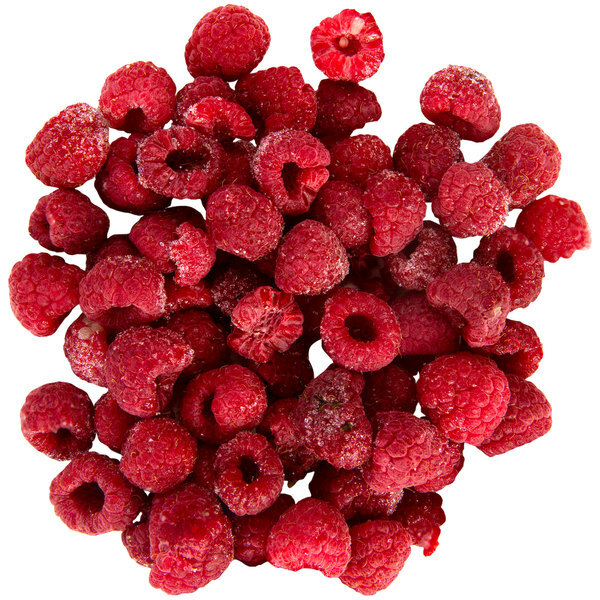 You can even begin offering light and sweet granitas to put a new spin on your coffee shop or cafe's drink menu. 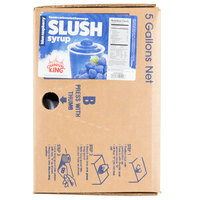 This slush syrup is generally mixed 1 part syrup to 5 parts plain water and then added to a slushy or granita machine. 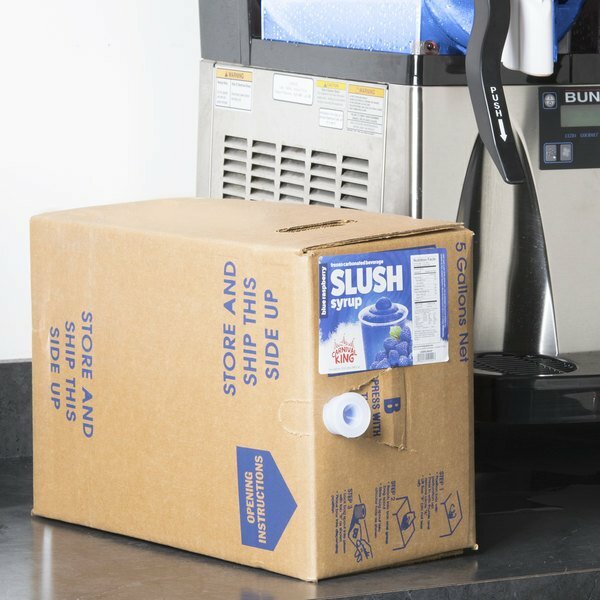 The 5 gallon bag in box design works with slushy or granita machines, so it's always as convenient for you as it is delicious for the customer. 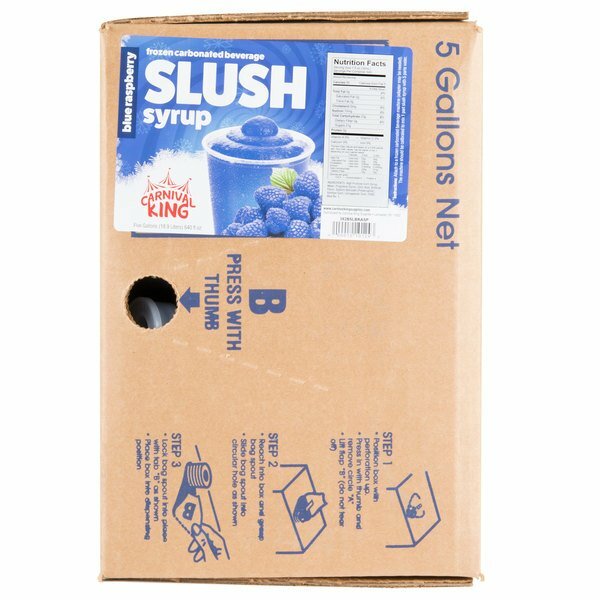 Perfect for fairs, stadiums, or other special events, this Carnival King slushy syrup helps you quickly and easily prepare your customers' favorite cold summertime treats at an affordable price! What is the difference between an italian ice, a slushy, and a snow cone? An italian ice, also known as a water ice, is very smooth and its flavoring is mixed into the ice before or during freezing. 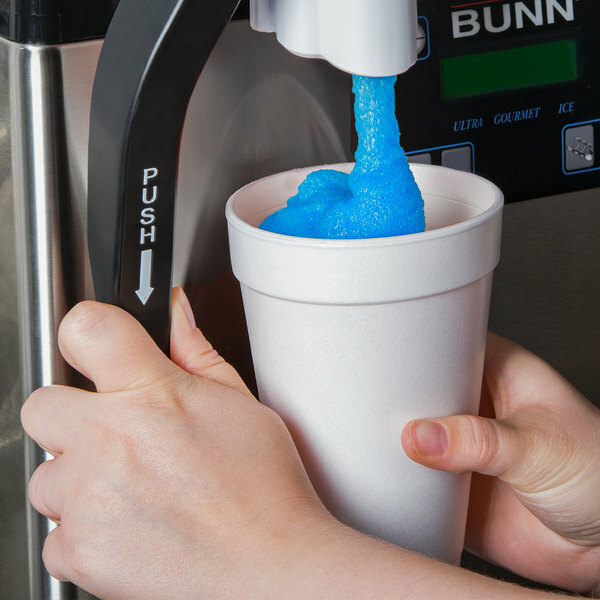 A slushy, also known as an Icee or granita, typically comes in icy liquid form, and the flavor is added before the freezing process. For a crunchier product, snow cones use larger, shaved ice, that is generally flavored at the point of sale. 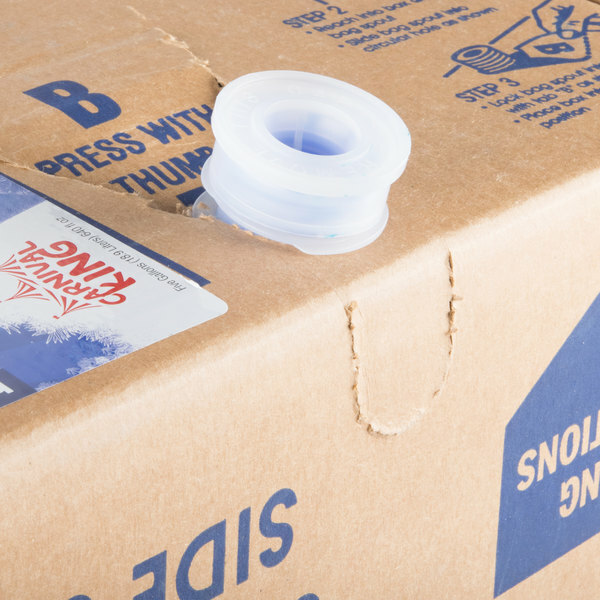 If you really want to increase your profit margins bag in a box is the way to go. The cases are built well and really easy to hook up. Once I got this bag in a box set up to my slushy machine, it worked great. Took me some time to get the setting correct but once correct on my machine it worked great. A great bag for stores! Manufactured nicely and does not rip easily. A great bag for larger items and drinks. Perfect for convenient stores and quickies.